Exclusive coaster made from green aventurine gemstone. This stone helps to encourage one to view hardships in life as impermanent, as an opportunity for growth in a new direction, and for taking all things in stride. 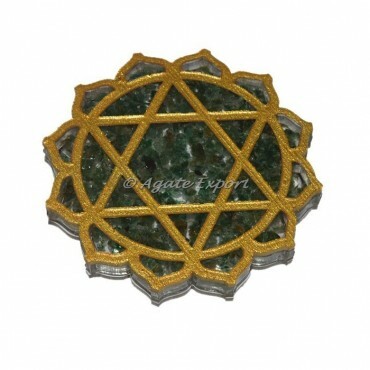 Furthermore it also helps in opening heart chakra.